The expression ‘Polish vodka’ has been commonly used in colloquial Polish for generations. However, vodka has been known and produced all across the world. So what distinguishes Polish Vodka from other vodkas and what makes it unique? What criteria does vodka have to meet to earn the name of ‘Polish Vodka’? 2) Flavoured vodka with a given dominant flavour other than the flavour of the raw materials used for its production, containing natural aromatic agents, and in special cases, dyes of a maximum level of sugar stated as inverted sugar not exceeding 100 grams per 1 litre of pure alcohol – acquired from ethyl alcohol of agricultural origin from rye, wheat, barley, oats or triticale or potatoes, grown on the territory of the Republic of Poland, where all production stages take place on the territory of the Republic of Poland and which can be seasoned for the purpose of acquiring specific organoleptic values. This definition of Polish Vodka lays down two basic criteria which vodka has to satisfy in order to be labelled with a protected geographic indication. Firstly, Polish Vodka has to be made from either the five grains listed above (rye, wheat, triticale, sheep or barley) or locally grown potatoes. The second criterion specifies that Polish Vodka has to be made in Poland. Not only the products themselves have to be local. All the stages of vodka production have to take place on Polish soil as well. The only exception allowed is the bottling process. Apart from the agricultural products, another important ingredient specified in the definition of Polish Vodka is water – it has to be purified and demineralised. Thanks to its rich history and excellent quality, Polish Vodka was put on an elite list of products with the Protected Geographical Indication logos, which, among others, includes wines, cheeses and other alcoholic beverages such as cognac or Scotch whiskey. Based on the amended Act on the production of spirits, the Polish Vodka Association has created a non-compulsory program “Polish Vodka”, for which they came up with a series of verbal and graphic designations. 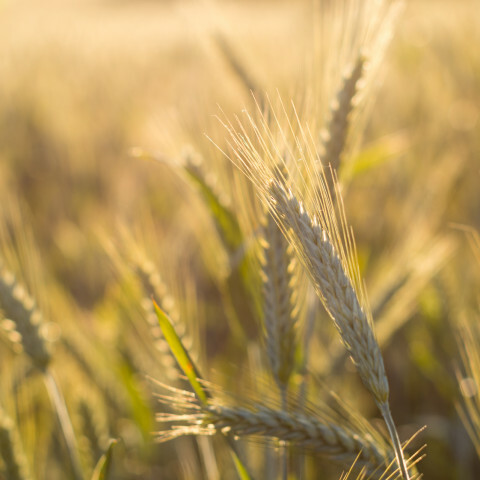 These designations can be placed on products that meet the criteria of the Act, that is, they are produced in Poland and from traditionally Polish grain: rye, wheat, triticale, oats, barley or potatoes.